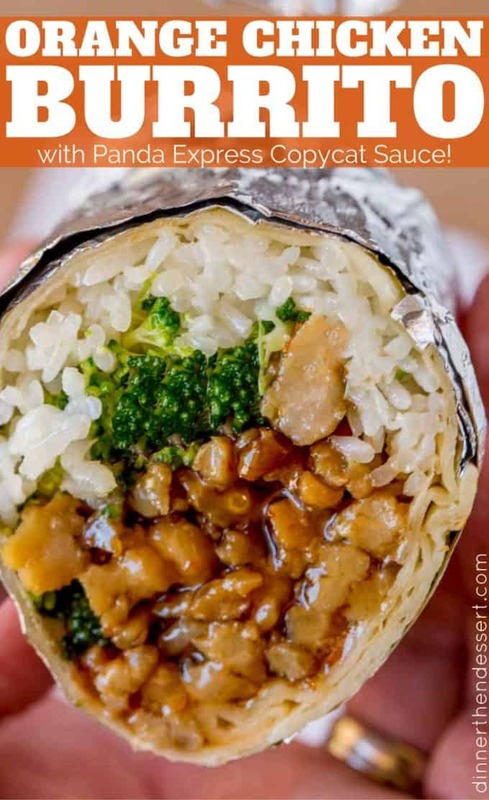 Orange Chicken Burrito with Panda Express Orange Chicken sauce takes just 30 minutes to make and tastes like a mix of two favorite takeout spots. 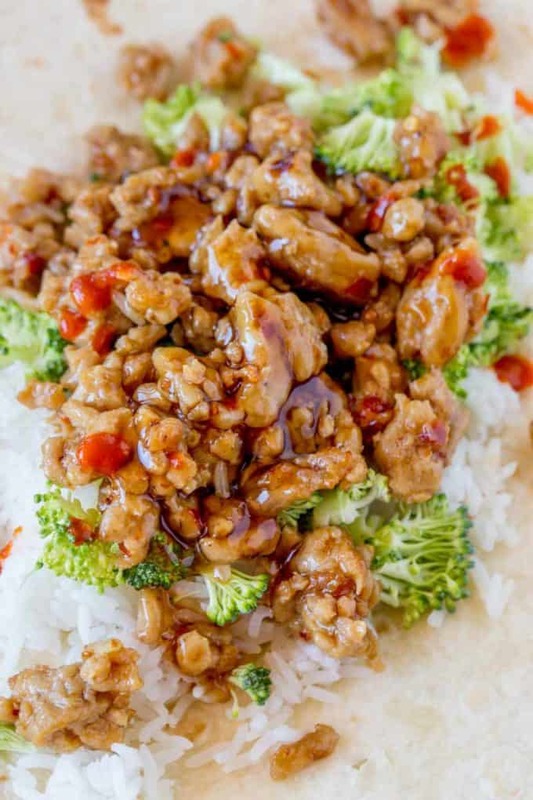 This Orange Chicken Burrito is the answer to all your “Chinese food or Mexican food” dilemmas with crispy Ground Orange Chicken and lightly seasoned broccoli and steamed rice, you will LOVE the flavors and the fun new way to eat Orange Chicken. 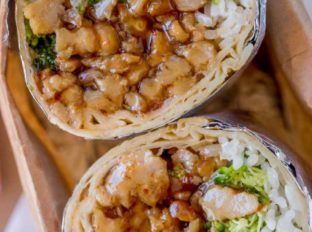 We recently started making all of our favorite Chinese food flavors into ground meat options and into burritos. The reaction by friends and coworkers who’ve tried them has been awesome. 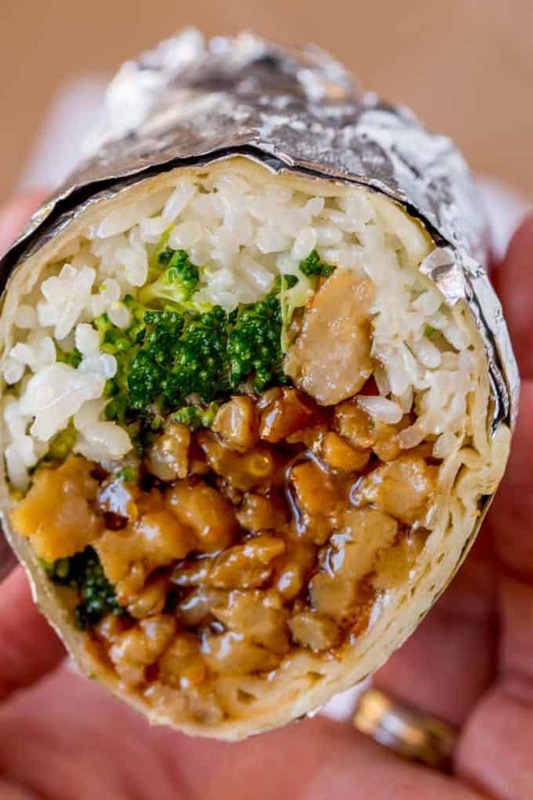 Most people were totally surprised when they took their first bite after just being told “It’s a chicken burrito” and every single one of them had some variation of “woah, why didn’t I ever think of this” to say. I had a moment I wanted to go all fancy with it too, when I had just started the blog a recipe for an Sushirrito California Roll Burrito went a bit nuts on Buzzfeed. We made lots of different varieties at home including one wrapped with rice inside out and rolled in spicy cheetos. 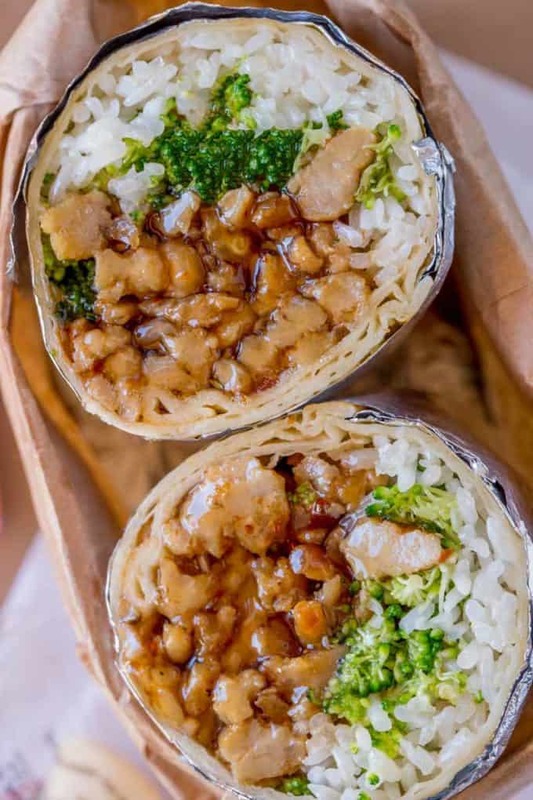 We tried that with this burrito and while it was AMAZING and we’ll do it again at home, it added a totally different flavor and an extra 30 minutes to the process. This Ground Orange Chicken Burrito is the perfect weeknight meal or use for your leftovers if you had enjoyed the recipe previously as an entree in a bowl with veggies and rice. 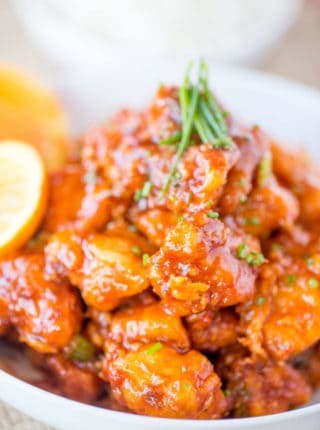 This Ground Orange Chicken is amazing because it still has the crisp texture because we brown it well before breaking the chicken apart and it still has that amazing Panda Express Orange Chicken Sauce that we all love. 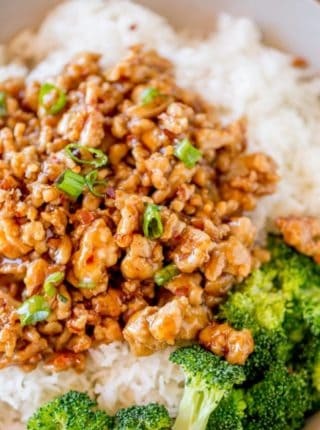 Many more Chinese food options..
Rice Wine: Adds an authentic flavor to the sauce, in a pinch if you absolutely can’t find it you can substitute white wine, but it will make it taste slightly different. 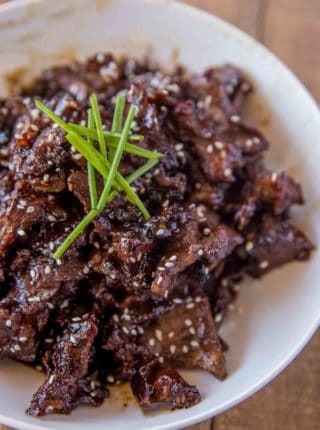 To make the sauce combine the rice wine, 2 tablespoons water, sesame oil, soy sauce, sugar, white vinegar, and orange zest. To make the cornstarch mixture, dissolve 1 tablespoon cornstarch in the remaining 1 tablespoon of water and set aside. To a large pan add 1 tablespoon oil and ground chicken. Cook until a good crust forms before breaking apart, then finish cooking by breaking it apart with a spatula and cooking for an additional 2-3 minutes. Once the chicken is cooked add the ginger, garlic and crushed red pepper and cook for about 10 seconds. Add the orange sauce and bring to boil. Add the cornstarch mixture to the pan and cook for just a few seconds, stirring until it thickens. Warm a large burrito sized tortilla in the microwave for just a few seconds. In a small bowl mix the broccoli with the oyster sauce, sriracha and mayonnaise. Fold in two sides then roll the burrito. Fantastic fusion recipe. Now I can finally eat Chinese easier while on the go. It’s like getting Chinese food and Mexican at the same time – in love! I so have to try this! Looks amazing! 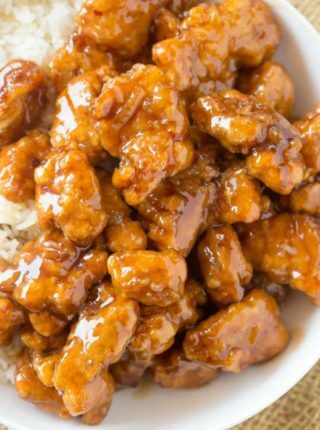 I love the orange chicken in there burritos! They sound great! 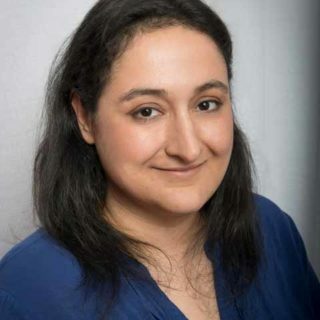 Thanks Krista! It really does give it that little bit of extra flavor. This looks so good! Yummy! This would be an easy yet scrumptious meal to make during the week for dinner.